The Brazilian pianist and music pedagogue, AntÃ´nio Guedes Barbosa, studied piano with Claudio Arrau. 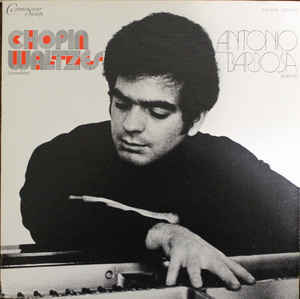 Barbosa was singled out by Vladimir Horowitz and Claudio Arrau as one of the five best pianists of his generation - alongside Martha Argerich, Daniel Barenboim, Krystian Zimerman and Garrick Ohlsson. He was one of the most prolific Brazilian musicians in terms of recordings of the highest quality. His legacy on disc includes important collection of pieces by Chopin, a panel of American critics, gathered in 1992 by the American Record Guide, even compared them to the greatest recordings, "Rubinstein to Alfred Cortot, Guiomar NovÃ£es, Martha Argerich." Thomas Frost went further. In a letter to Allan Kozin, the critic of the New York Times, producer of Vladimir Horowitz, who also produced AntÃ´nio Guedes Barbosaâ€™s second version of of the 51 Mazurkas, called them "considerably more poetic than those of Rubinstein." 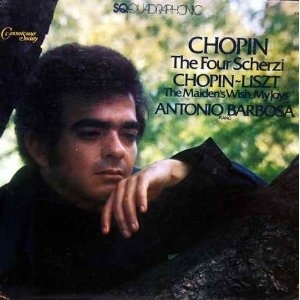 And Stereo Review, New York, which gave the title of "Best of the Year" for the 14 Waltzes, printed: "... Barbosa is possibly the best interpreter of Chopin of his generation." The CD, with the latter recordings and the Lieder of Schubert, was launched in the USA two days after his heart stopped, in Sao Paulo, on September 2, 1993.